Motor vehicle deaths are declining and property damage insurance claims are being reduced due to advanced safety technology in automotive systems. 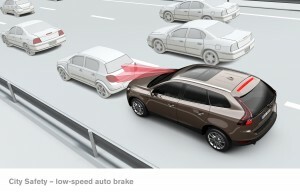 Volvo’s “City Safety” is a low-speed crash-avoidance technology designed to help the driver avoid hitting a car (or to lessen the severity of the collision) at speeds up to 19 mph. 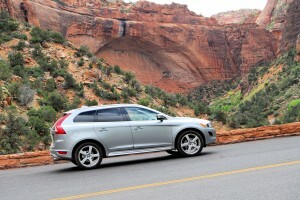 Insurance claims data shows Volvo’s City Safety has bottom line results. Studies by the Insurance Institute for Highway Safety — and its research arm, the Highway Loss Data Institute — show that Electronic Stability Control (mandatory equipment for every new 2012 vehicle) and Volvo’s exclusive forward-collision avoidance system are proving to save lives and property. Volvo vehicles equipped with the automaker’s City Safety technology are far less likely to be involved in a low-speed, rear-end collision. 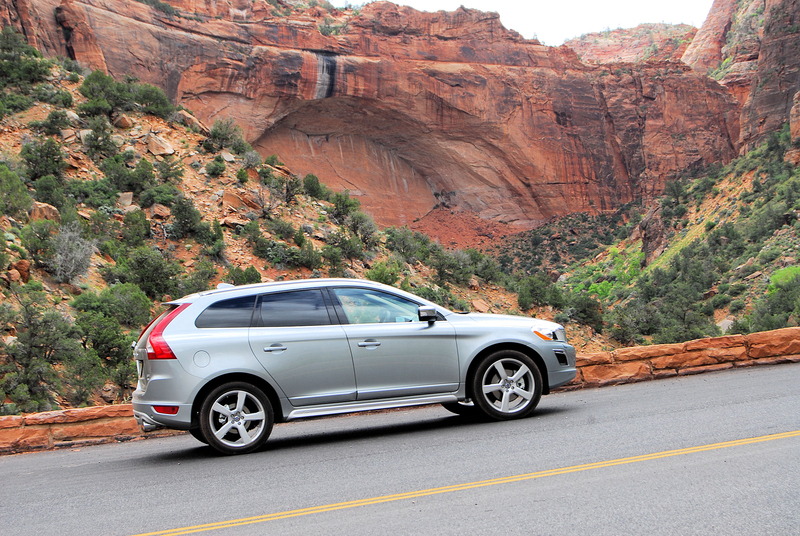 There were 27 percent fewer claims for property damage liability coverage for the Volvo XC60, which comes standard with City Safety, than for other midsize luxury sport-utility vehicles, according to data. Property damage liability insurance pays to repair damage to another vehicle because the driver who hits it is at fault. Claims were filed 19 percent less often for the XC60 than for other Volvo automobiles that do not have City Safety. City Safety uses a laser sensor built into the windshield at rearview-mirror height to monitor the vehicle ahead. If the driver does not respond in time when the car ahead slows down or stops, or if the driver is driving too quickly toward a stationary object, the vehicle automatically brakes. The study also found that claims for bodily injury liability (whiplash and back sprain), were reduced by half. This is important since neck injuries especially can be long-lasting and debilitating. City Safety is exclusively equipped in Volvo vehicles. 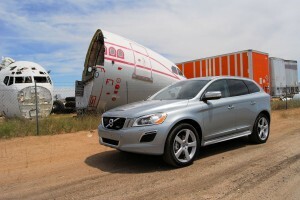 It was included as standard equipment starting with the 2010 Volvo XC60 midsize SUV. The automaker is making City Safety now standard on the 2011 and 2012 Volvo S60 sedans, 2012 Volvo S80 sedans and Volvo XC70 wagons. The analysis, “Driver Death Rates by Make and Model,” by the Insurance Institute also shows driver death rates have declined for all types of passenger vehicles, but the most dramatic drop has been for Sport Utility Vehicles. The Insurance Institute believes the primary reason for this drop is due to Electronic Stability Control, said Anne McCartt, senior vice president for research. ESC helps a driver maintain control of a vehicle by keeping it from going into a skid. The Insurance Institute does this analysis every few years to measure differences in the on-the-road safety of different kinds of vehicles. The last analysis was in 2007. The 2011 analysis of the driver death rate, which looks at data gathered from 2006 to 2009 (for 2005-08 vehicles), shows an overall death rate of 48 deaths per million registered vehicles. That’s down from 79 in the previous 2007 analysis that looked at the years 2002 to 2005 (for 2001-2004 models). For SUV drivers that number fell to 28 driver deaths from the previous figure of 65. One reason researchers think this drop is due to Electronic Stability Control is the separate research the Insurance Institute and the federal government have done that established the effectiveness of that technology. In fact, the federal government has required stability control to be standard equipment on new passenger vehicles starting with 2012 models. This entry was posted in Down the Road, Get Off the Road, Rely on the Auto Experts -- Motor Matters Reviews. Bookmark the permalink.